These plants have medicinal value: adding fresh oxygen in students' room, dandruff control and leaves with digestion control capability, to name a few. 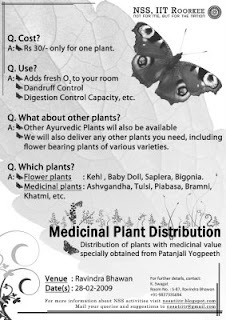 Many other types of ayurvedic plants will also be made available. NSS will also be delivering other plants needed, including flower bearing plants of various varieties.